Hey lovies! I decided to step up my glitter game. These makeup pictures on the internet are so oppressive. So, I bought a lot of glitter eye shadows and have been bathing myself in glitter recently. I must say, it kinda feels good to look like a glittery glowing goddess once in a while. 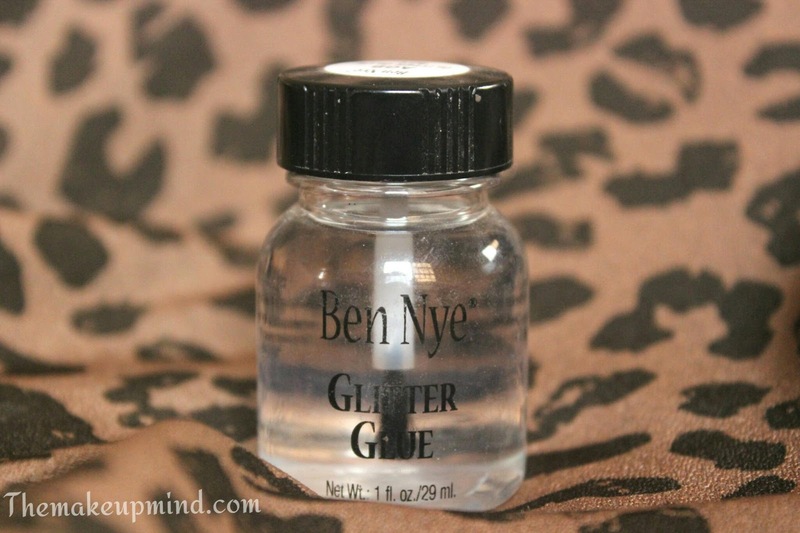 Among, most glitter glues, Ben nye seemed to be the most popular so of course I had to buy get one too! 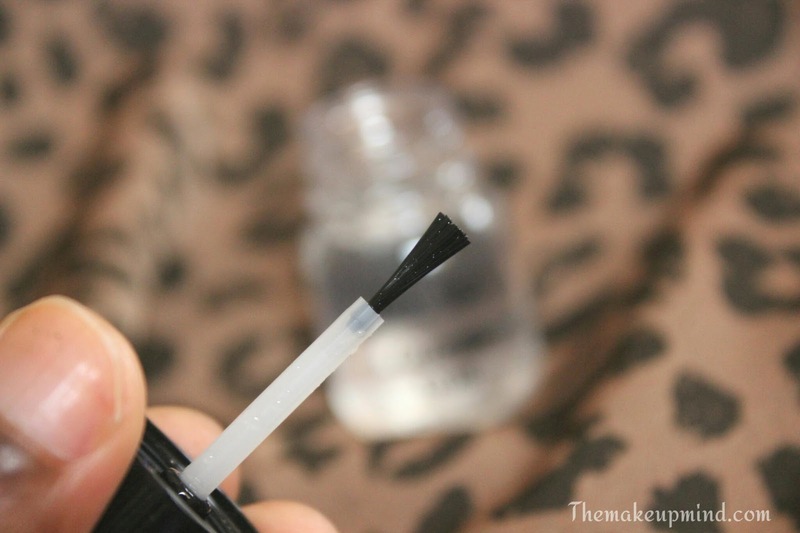 The bottle comes with a brush applicator attached to the cap , which is similar to a nail polish applicator. Another thing I really don't like about the packaging of this product is the fact that the top of the bottle is really open wide. Its just too big in my opinion. Especially for the fact that I need a very tiny amount of it. Once this thing falls, basically every drop would spill out. 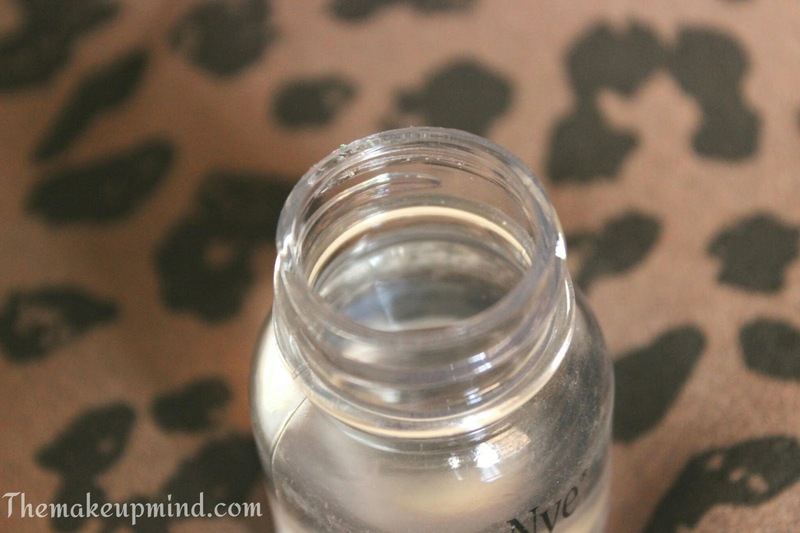 The glue itself is completely colourless which is good because your eyeshadow can still be seen. It has a very liquid consistency as opposed to my initial expectation of it being thick. It also has a strong and alcoholic smell. Upon application, this thing STINGS! I mean, it does not feel comfortable at all. It was at this moment, that I knew this product isn't made for the eye area because it feels okay when applied on other parts of the body. If you're able to get past the uncomfortable feeling, then you'd have to work fast and apply your glitter on the eyes or any other part of your body. Once the glitter is applied, it adheres really well to the skin and I get only a little fall out during the day(which is almost inevitable). I think its a really good glitter glue for the body but in my opinion, its a lot better to buy another kind of glue if you plan on using it on your eyes. This one is definitely not suitable for the eye area due to the fact that the eyes are very sensitive and the product has a large concentration of alcohol in it. I'll probably keep using it until it finishes but I won't be buying another bottle of this. PRICE: N4,000 (Prices are subject to change). Do you follow me on Instagram ??! You definitely should! Thank God I read this before buying this product. I will just have to keep looking around for a glitter glue for the eye because my eyes are so sensitive. God bless and great job on your blog!